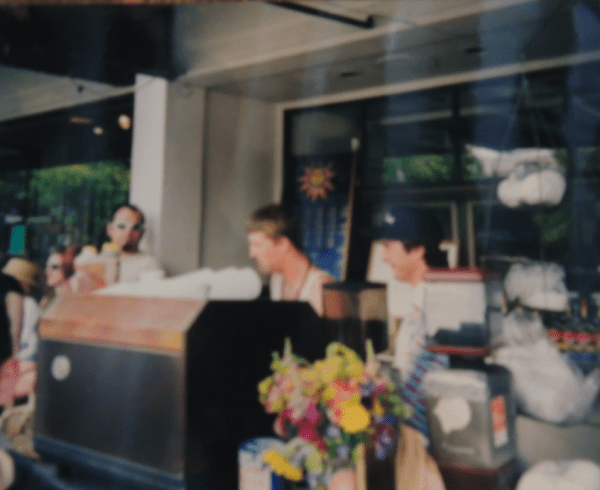 During the 1990s, the Cafe Solstice coffee cart was one of the defining local, independent ventures that made Broadway the hub of Capitol Hill street life. With Broadway’s end-of-century decline, the coffee sellers left for greener, bigger, and indoor pastures, relocating to their current space on The Ave in the University District. Now, Cafe Solstice is coming home. Solstice owner’s Joel Wood and Doug Sowers confirmed to CHS they are opening a second Cafe Solstice inside the Lyric building at 10th and Thomas. “We’ve always wanted to be on the Hill with a cafe,” Sowers told CHS inside his U-District coffee shop. Solstice will occupy the entire 10th Ave commercial space and wrap around part of Thomas., Sowers said. The owners plan to launch a website for the new location soon, and hope to be open for business by the end of the year. 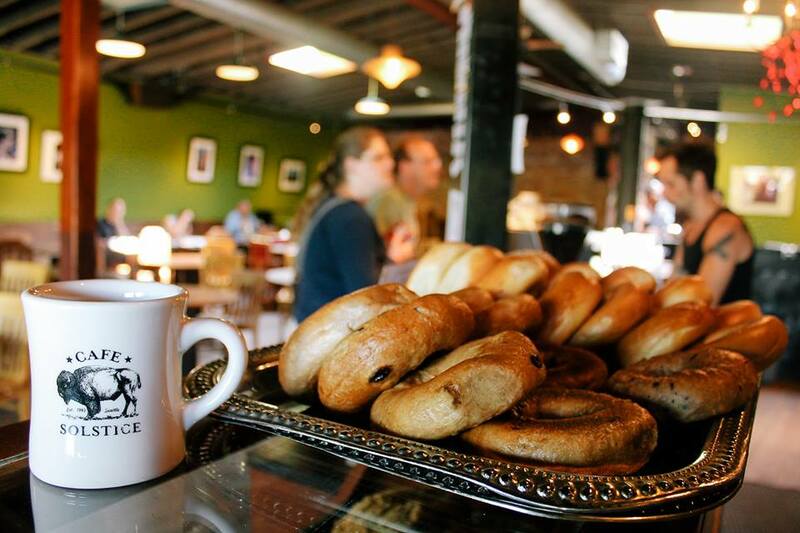 The addition of the local, independent coffee shop to the area may come as uplifting news to those bemoaning national chain Office Max moving into the same building. CHS reported on the Office Max plans Monday. Lo-Shan Sun, who owned properties demolished to make way for 230 Broadway, now owns some of the commercial space in the new building. According to Sowers, Sun is the landlord for Solstice as well as Office Max. While he and Wood are returning to a very different Capitol Hill, Sowers said the mix of musicians, artists, and gay scene are still big draws. Wood started the Cafe Solstice cart in 1993. Sowers joined him one year later and the two have operated Solstice together ever since. In 2001 they left the Hill to move into their spacious, vaulted-ceiling cafe at 42nd and University Way. Solstice’s open, inviting atmosphere on The Ave is a favorite among college students who hunker down for long study sessions on rainy evenings. Wood said the concept at the new location will be similar. When asked what they hope to add to the already potent coffee shop mix on Capitol Hill, Wood said he’s not trying to reinvent the wheel. Sowers noted that Solstice will fill a food gap on Broadway as an informal place to grab a quick soup, salad, or sandwich. In addition to Lighthouse Coffee brewed drinks, the owners said they will expand their current craft beer and wine selections in the new location. You can learn more on the Cafe Solstice Facebook page. The Humble Pie menu will always have ten pies and a salad, but Solazzi is hoping to have specials that reflect seasonal ingredients. The current pies include a traditional Margherita, an apple pizza with Beecher’s Flagship cheese, and a prosciutto and arugula pie with a fried egg draped over the middle. Nope. We don’t know when Chuck’s is opening on E Union. Attn: Rumba — Sun Liquor has produced the first one of the first rums in Washington State. Poster child for “changing” Capitol Hill nightlife, Q marks one year in business. The Baltic Room celebrated its 16th birthday. The state will need more time to sort out new pot rules. Did you catch our report that Ines Patisserie is set to join Capitol Hill in new construction on E Union? Capitol Hill spots making this Seattle list of best “kid-friendly” restaurants? Vios and Coastal Kitchen. Wonderful news about Solstice! It will be very nice to see Doug and Joel’s presence up on the Hill again. I was a loyal customer back in the days of their cart! Any update on the bartender who was arrested from Von Trapps? It is not possible that Cafe Solstice is moving into Lyric as the greedy developers only design for and allow corporate chains into their nouveau Capitol Hill retail nightmares. Welcome, Solstice. I’m sure more than a few former students who graduated to the hill and now have some income are looking forward to patronizing your new location. this is amazing news even though it throws my micro-worldview coffee/cafe alliances into chaos.